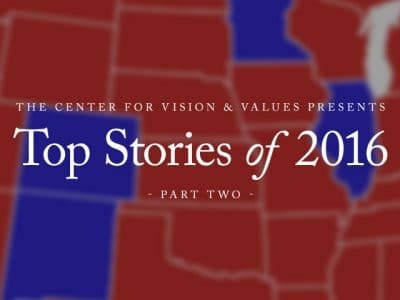 2016 has been a fantastic year for The Center for Vision & Values at Grove City College. We celebrated an all-time high in website traffic, an exponential growth in social media (approaching 35,000 Facebook fans), and a record number of email subscribers. These accomplishments would not have been possible without the thoughtful, charitable, and powerful scholarship from our many fellows and contributors. Each and every article we published and distributed in 2016 was also reprinted by at least one other media outlet across the country and/or world. Many of the articles are reprinted in dozens of media outlets yielding impressive circulation numbers. 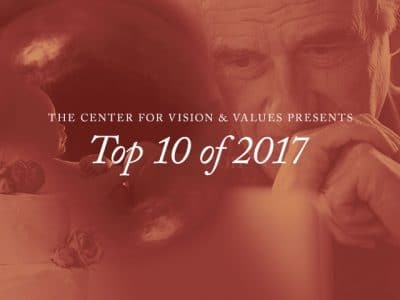 To celebrate, we are honored to present the Top 10 of 2016. The selection was based on numerous factors including: social shares, likes, media reprints, and comments. 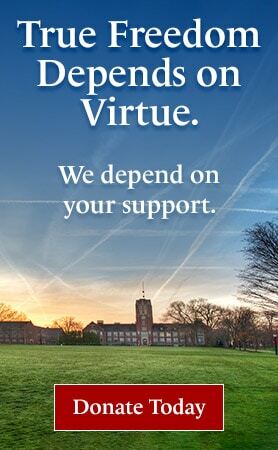 We invite you to enjoy some of the Center’s extraordinary scholarship. Thank you for making 2016 a great year and we look forward to making 2017 even better! This entry was posted in American History & Presidents, Biography, Economics & Political Systems, Education & Schools, Faith & Society, Feature, Media & Culture, Military & Foreign Policy, Politics, The Law by Editor. Bookmark the permalink.